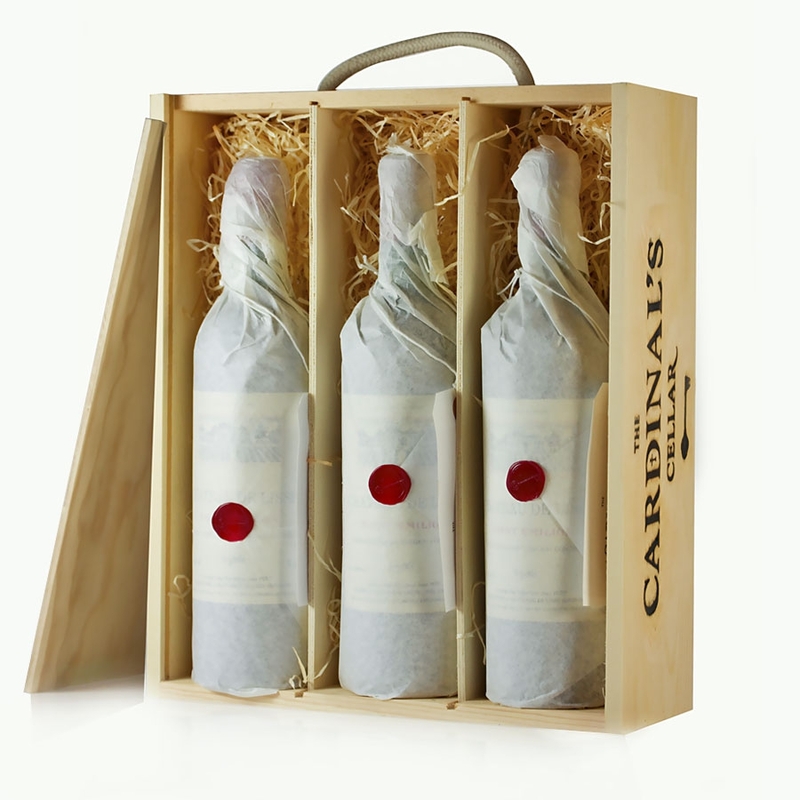 If you are buying three bottles of wine as a gift, why not send them in one of our elegant pine gift boxes, branded with The Cardinal's Cellar logo? 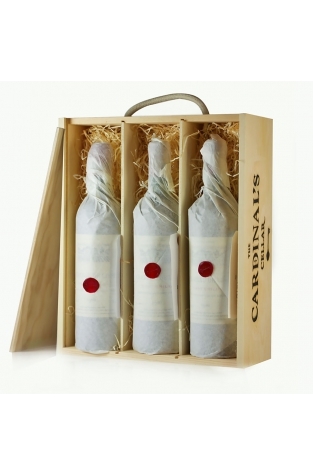 As standard, your bottles will be beautifully wrapped in tissue paper, finished with the Cardinal’s wax seal with tasting notes and basic information attached to a label hung around the neck of the bottle. To make your gift more personal write your message to the recipient in the field below and we'll include a free greetings card with your message handwritten by the Cardinal. Suitable for three standard bottles (3 x 0.75L).